1. Make use of storage containers. I love storage containers, because they capture all the small pieces, and you can stack them. You’re working with hard plastics, so nothing will be leaning or falling – it all locks nicely into place! 2. Color coordinate. All my fall decor is in purple storage containers (because fall is my favorite and so is purple! ), all the Christmas is in green storage containers (pretty self-explanatory) and the other assorted decor (for things like my holiday shelf) is in clear containers. That way, when I see each box, I know exactly what I’m dealing with. 3. Use the soft to cushion the fragile. I’ve got the ceramic pilgrims resting in the midst of the fall pillows. It’s easy to pack that way, and when you pull the boxes out the next year, nothing is broken! 4. Write down what you have. Every year I’ve said, “I don’t need to write it down, I’ll remember.” Well, I NEVER do. So this year, I’m writing it all down. Want to join in? Check out the printables I’ve made! It’s been a wonderful holiday season! Now it’s time to pack up the memories until next year! For the Fall Decor Free Printable, CLICK HERE! For the Christmas Decor Free Printable, CLICK HERE! One Word for 2014 – FREE PRINTABLES INCLUDED! This entry was posted in DIY Project, Holiday, Home Decor, Organization and tagged 2014, free, Free Printables, Happy New Year, New Year, Packing, packing decor, packing holiday decor, printables, storage containers. Bookmark the permalink. Wow! you are way more organized than me. Every year I say I am going to do it. Then don’t. Maybe next year, It’s a shame we don’t live closer, I’d hire you to come organize mine :). Oh, that would be SO FUN!!! Oh, I forget things all the time! What I’ve learned to do is allow myself a little wiggle room for forgetting. That way, when I forget, I still have time to fix it! VERY smart! I do not do this and I can never find anything! I will do this next year! Great tips. You can also take a picture of the way the decorations were displayed so that you can remember next year. That is true, Pam! Thank goodness that I only have to look at my blog to do that! Excellent tips! I have yet to put our decorations away. I will most certainly use these info. Thank you Have a great year ahead! Glad you found it helpful, Vinma! 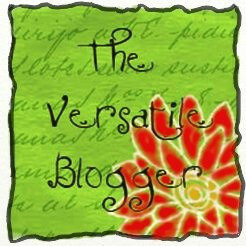 Looking forward to a wonderful year for all of us bloggers! As I type this, my Christmas tree is still up #shame. My oldest job was to take down the decoration in the inside of the house. I took down the outside decor. That was my husband’s job (he has been working a lot and if I wait on him–it’ll be up until V-day) I refuse to take down the tree and decor in the inside. I almost feel like everyone is passing their job to me! LOL Look, I have enough hats! I assign you a job-you need to do it! I do have my tubs organized already like you! It makes getting the decorations out so much easier. The only thing about it, is my hubby uses that same area for his outside tools. You guessed it, the area is a mess! LOL I have to work on organizing that area too. No no, no shame!!! I was so sad to take everything down, so I had to hurry up and do it quickly to be done and get over being sad quickly LOL. My hubby took down the outside, too…so yes, I agree, you’ve already done your job! And good luck organizing his stuff – mine gets mad when I mess with his, ha! We still need to tackle our decorations. I really love the Christmas tree though….it will look sad in our living room without it. Great printables! I have a list of things I need to look for now that all the Christmas items are on clearance. I know, I was so sad to take everything down And I’m scared to look at the Christmas clearances…I might get a little carried away! So organized, call me impressed! I really don’t have that much so it doesn’t take a lot to store it, I meant to take it down last wk but kept getting distracted with bloggy stuff so I better tackle it this afternoon. Sounds like a plan! 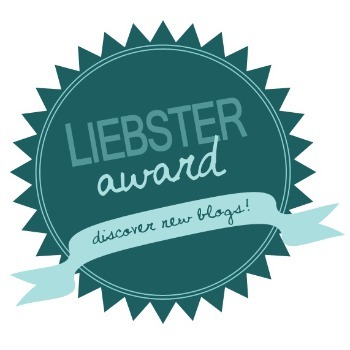 You’ve gotten tons done for your blog, though, so call ME impressed with THAT! Putting away all of the Christmas decor has always been a little sad for me. I enjoyed having the house look so festive for most of the month of December, and now it’s back to nothing. I have to find other occassions to decorate for. Maybe I’ll do Easter… maybe. I only have a tree to take down this year. It was our first year with a tree in 12 years and I was just so happy to have it undecorated, pure and serene. It really should come down soon, but with the snow flying outside I’ll enjoy it a few more days. I’ve simplified decorations in general so that’s made a huge difference in storage picking up. I do like to frame some favorite cards, so they will need frames before I pack them away. Oh, framing cards! That’s a good idea! This is what I need actually as I always miss something with my Christmas tree. Thank you very much for sharing. Oh, good! I hope you find it helpful! This is a great “how-to” Article. 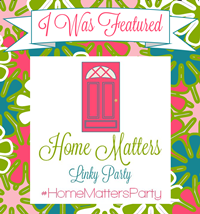 Thanks for linking up at Pinastic Pinteresting Party! Thanks for the opportunity, Jill! Thank you for sharing with the readers of A Bowl Full of Lemons. I love these printables. Thanks for stopping by and for your comment, Amy! It’s not in the budget to get matching containers yet. We have designated green Duck Tape for inside decorations, purple for outside. Every box has a stripe of tape on it and we can write an overall category with Sharpie. Thanks for your printables. Sounds like you’ve got a great system in play, Daisy! For those with angst over not taking down your decorations “timely”, in our family we historically don’t take down the decorations until after the 12th day of Christmas (Epiphany); however, for the past 9 years we have extended it through our celebration of Russian Christmas (my son is adopted from Russia). Russian Christmas is usually on Epiphany but we hold the celebration until the weekend as we have 50 plus friends and family in and serve the traditional Russian Christmas menu. Thank you for sharing with the readers of A Bowl Full of Lemons. Great printables. That’s great, Amanda! What is the traditional Russian Christmas menu? I love how you incorporate your son’s homeland with your family’s celebrations! I am organizing my basement today and can use both of these inventory records. Thanks for your generosity!!! I found you on ABFOL website. Great idea! I’m finishing up packing things away and will totally use these! Thank you! I found you through ABFOL. Thanks for stopping by and for your comment, Meg! You are welcome anytime! Thank you, Linda! I appreciate you stopping by, and your comment! Happy holiday decor packing! 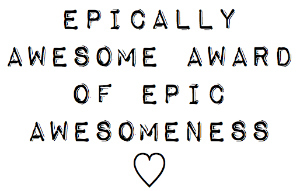 Awesome printables! I learned about them from ABFOL. Thanks! Thanks, Jo! And thanks for stopping by! 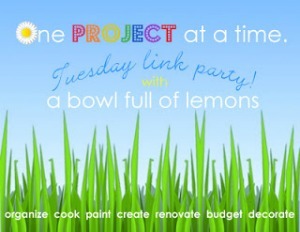 How exciting that you and this post were featured at A Bowl Full of Lemons! I love your printables. Too bad I didn’t see this until now and I already generated my lists for the boxes. It’s my first year of actually listing all of my decorations too. It took a little longer to pack things away this year, but next years unpacking and repacking will be a breeze! Maybe I will even have time to re-do my lists with your lovely printables. I KNOW! I was pretty beside myself LOL I’m glad you enjoyed the printables! Thank you for the helpful ideas…and thank you for the printables! I found you through ABFOL and I’m excited to continue the baby steps to a more organized house this year! Fantastic! Baby steps, you’re on the right track Come back anytime! Welcome, Sandy, thanks for stopping by, and for your comment! Glad I could help a bit!